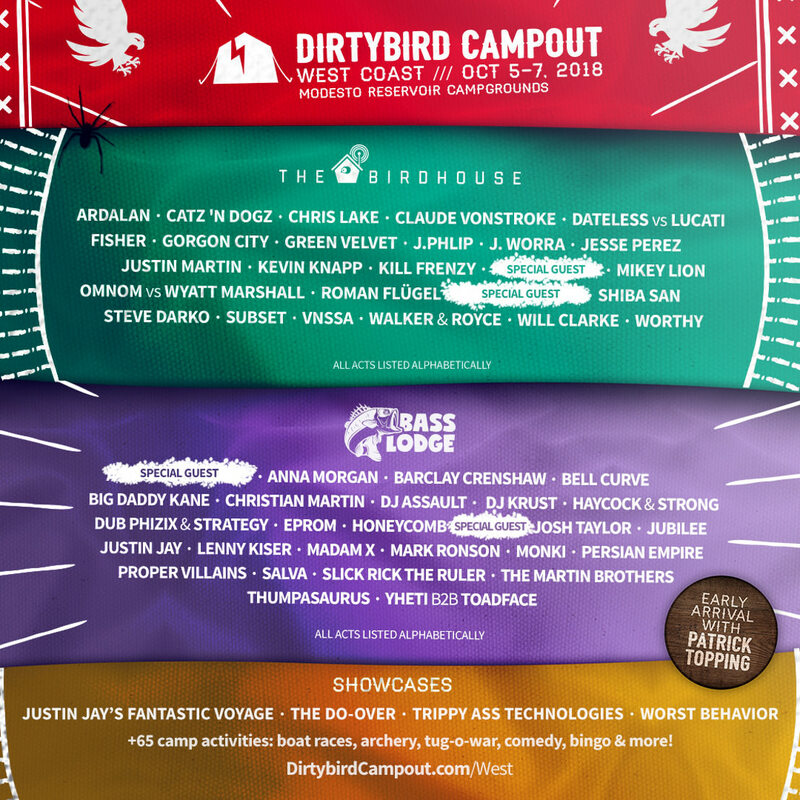 Dirtybird Campout West returns with a lineup stacked with house and techno essentials. This year’s lineup features icons like J Worra, Chris Lake, Gorgon City, Fisher, Shiba San, to name a few. As well as staples from the dirtybird family and camp counselors like Christian Martin, Claude VonStroke, Ardalan. As well as house favorites Mikey Lion, Sacha Robotti, Justin Martin and many soon to be announced special guests will be blessing the Campout stages. The Campout will be taking place at a new venue this year; Modesto Reservoir Campgrounds on October 5-7. Immerse yourself in good music and over 65 camp activities like archery, tug-o-war, comedy, and boat races. More information can be found on the Dirtybird Campout West website. Check it out for yourself! Check out EDM Events, news, reviews and more on OneEDM.